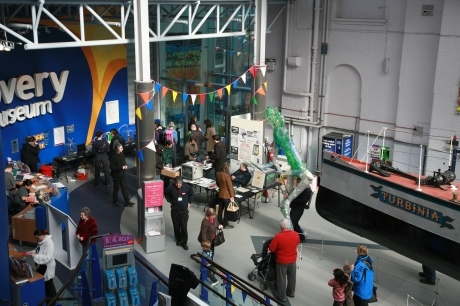 Maker Faire, the world’s premiere event for DIY technology and craft returns to the UK to draw together ScienceFest’s opening weekend with the finale of AV Festival 10. This interactive event features cool robots, power tool drag racing, clever gadgets, garden shed inventions, knitted wonders and the occasional fireball. Produced by ScienceFest, O’Reilly Media and DGB Events as part of NewcastleGateshead’s programme of world-class festivals and events.